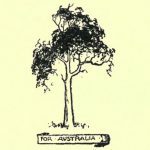 In 1831, when men of State in England were discussing the establishment of a chartered colony in South Australia, did the daughter of William Baynes (or Baines as was the old spelling of the name) dream that her name was to be linked up with that of the new colony? Did she, sitting at her sewing, or reading the poets she loved, have any drawing to that unknown land? Did her own poetic fancy picture a life, fairy-like and wonderful, away across the sea, in the land of sunshine and beauty Perhaps she had her visions! She kept some of them through the life ahead, in which she experienced not only the hardships of a delicately nurtured woman facing pioneer life, but also unexpected sorrow. Married to a young medical student of artistic temperament, somewhat delicate health, and sweet disposition, Caroline Baynes, now Caroline Carleton, set sail with her husband and two little children for the wonderful land which was to give health and prosperity. Mr. Carleton did not wait to finish his course and take his degree, intending, no doubt, as other young students intended, to return from this El Dorado in a few years, and complete his medical course. Sorrow met this young couple on the voyage. Their two children died, and with this shadow upon their lives they landed in Australia. Mr. Carleton practised as medical officer in the new city, Adelaide, and later at the Kapunda mines. He bought up land, up doubt at heavy prices, and he opened a chemist’s shop. Things flourished, children came, and hope and courage grew stronger. Then came the reaction in the new colony. The effects of the land boom and the general state of the colony in the early forties found Mr. Carleton, as they found so many brave pioneers, with liabilities on every hand, and very little to meet them with, save the spirit and determination to “hang on” at any cost. 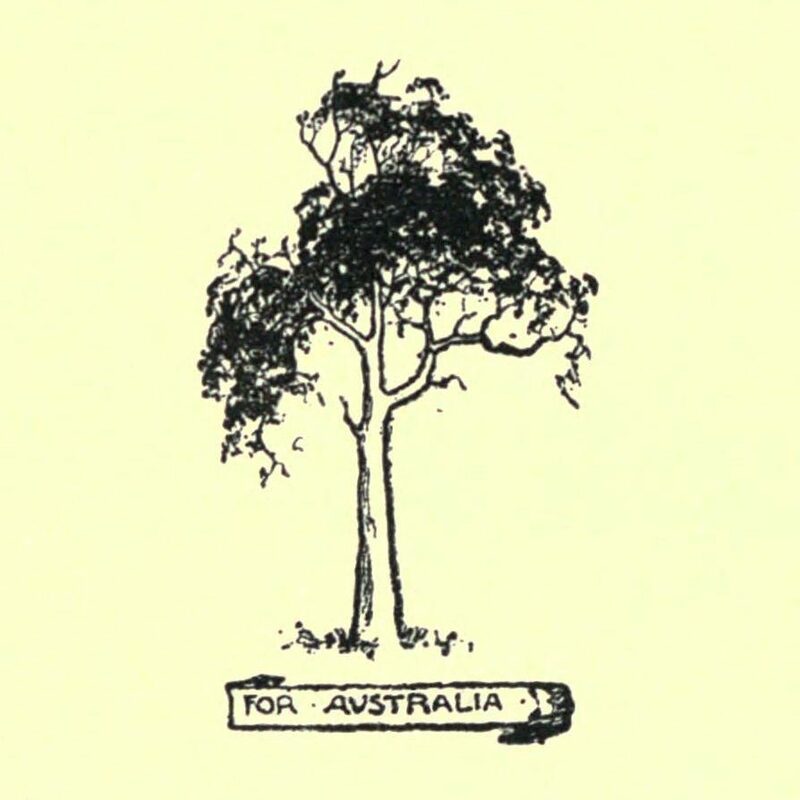 While this state of affairs was sapping Mr. Carleton’s none too robust health, the woman who wrote “Song of Australia” cheered her husband, looked after her children, and quietly bore her own worries and forebodings. When the position of Superintendent of Cemeteries was given to. Mr. C. J. Carleton, it was Caroline, the gifted, delicately nurtured girl, who made it possible for the position to be held in his name, by doing the clerical work which he, in time a complete invalid, was quite unable to do. I seem to see that family— the invalid husband, uncomplaining, drawing his pen and ink sketches, when able, in order to keep his mind from dwelling on the awful fact of his inability to work for his family; the two elder girls, growing up under the training and example of their devoted and unselfish parents; the three little ones (death had made another gap here) as yet unaware of the struggles about them; and Caroline, bread-winner, joy-giver in that household. Was it in the evenings, when all were asleep, that she eased her own weariness and fears by putting her thoughts into verse, or by writing of bright skies and sunshine, of brave men and women? I wonder! By Mrs. C. J. Carleton. Falls on the accustomed ear.